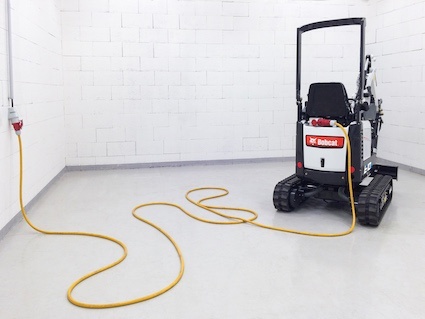 With zero emissions, a low noise operation and a width of just 720mm, the new E10e can easily pass through standard doors and in and out of lifts, making it ideal for indoor applications such as demolition and basement construction. In addition, by coupling the E10e to an optional external Bobcat supercharger means that the E10e can operate for a full 8h working day. The E10e electric mini excavator combines the successful features and high performance of the E10z for working in confined spaces, with its safe, near silent, zero emission design. As a result, Bobcat is confident that the E10e provides a very attractive solution for rental companies and contractors alike, for indoor demolition, basement projects and in other sensitive areas where low noise and/or night time work are mandatory.